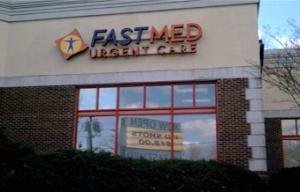 Welcome to our two FastMed Urgent Care locations in Greensboro, North Carolina. At FastMed Urgent Care in Greensboro, we provide immediate care for non-life threatening conditions like bronchitis, dermatitis and allergies. At both of our Greensboro medical centers, we take digital x-rays, conduct EKGs, and perform tests in our in-house laboratory. We get your results back quickly and avoid the cost of shipping samples off to an outside laboratory. FastMed Urgent Care locations are open every day of the year, including holidays, and walk-ins are always welcome. Please us our ZipPass if you’d like to check available time slots for Greensboro, NC, FastMed Urgent Care clinics. 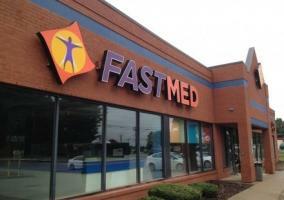 At FastMed Urgent Care in Greensboro, NC, most major credit cards are taken for payment. We’re sorry, but we don’t accept personal checks. We do take most major insurance plans. If you’re not feeling well, please stop by FastMed Urgent Care in Greensboro NC. We’ll do what we can to help, whether it is to stitch up cuts, test for strep throat, or treat a number of other conditions.